and revived the soulless India. had tied together the scattered humanity in the four ages. Sant Sarwan Dass Ji got Naam from Sant Harnam Dass Ji who pronounced that the former had excelled him spiritual and would be a great sant in the coming days. First Sant Sarwan Dass Ji made a hut. Than a small room and a verandah were annexed. Sant Sarwan Dass Ji used to worship Almightly. When Sant Pipal Dass ji passed away on 1st Navrata in 1927, the entire responsibility of ferrying the human beings from this vicious circle of worldly desires has fallen on Sant Sarwan Dass Ji. In the Dera, Sant Sarwan Dass Ji started a school where he used to teach Guru Granth Sahib & Punjabi to the Children. Every Sunday the kheer and sweet cakes were prepared and offered to Sangat and Children. Many Children who got education from Sant Sarwan Dass ji proved successful pathies. Sant Sarwan Dass Ji used to say that those parents were enemies of their own children who did not have them educated. He also preached that the poor should abstain from drug addiction and superstitions and lead honest & hard working life. Besides, have amenity preached that all human must worship Almighty to get their souls purged from vilification of social evils and ill. Whoever invited Dera. Sant Sarwan Dass Ji persuaded him to NAAM SIMRAN and satsang. When he finished the satsang he used to say that their presence had been marked in the darbar of Almighty. He respected the saints who visited the Dera and used to exchange his views on the spiritually with them. Whenever he found time tried to meet spiritually enlightened souls & one such visit was to Dera Beas to meet Sant Sarwan Dass Ji. 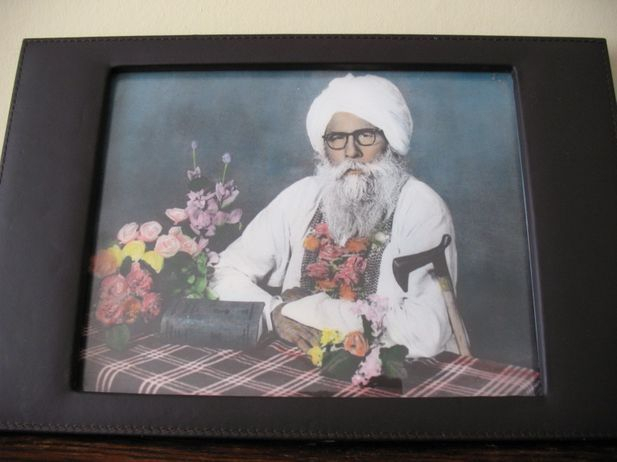 Sant Sarwan Dass Ji was delivering religious discourses to the sangat. When they saw Sant Sarwan Dass Ji stood up from his bed, showed proper saintly regards to Sant Sarwan Dass Ji and politely offered him to take seat toward head of his bed. Both great saints shared their spiritual delightful experiences fro long hours. Such was loving thirst of Sant Sarwan Dass Ji for spiritually elevated saints. Sant Sarwan Dass Ji was always concerned for social cause. When in 1932 Poona Pact was implemented by dint of hard work of Dr. B.R. Ambedkar the mission of the dalits, the fast unto death of Sh. Mangoo Ram Magowalia was discontinued by serving juice to the faster from sacred hand of Sant Sarwan Dass Ji During his visit to Delhi in 1948 at the request of Giani Bishna Ram, Sh. Faquir Singh, Sh. Swaran Singh, Sh. Niranjan Singh Hothi, Sh. Puran Singh of Beas Pind, Sh. Bhagat Singh & Sh. Nama Ram Dihana, Sant Sarwan Dass Ji daily used to deliver religious sermons at the residences of devotees, and during his stay at Delhi, he along with Giani Bishna Ram, went to meet Dr. B.R. Ambedkar, the prophet of humanity. Dr. Sahib showed great respect to Sant Sarwan Dass Ji’s glowing personality and views. In 1952 Dr. Ambedkar had visited Punjab. Sant Sarwan Dass Ji could not meet him personally due to some reasons but wrote a very impressive letter. Dr. Sahib, you are a great son of community. March ahead for welfare of community & success will your feet and people will proud of you. On 13, 1970 a big conference was convened at Dera Ballan for all-round development of dalits in which about 20,000 people participated from Punjab, Himachal, Haryana and J & K. This conference was addressed by great social reformers like Shri Mangoo Ram Mugowalia, Shri Dilip Singh B.A. L.L.B., Shri Kulwant Rai from Himachal, Shri Hazara Ram, Shri Anant Ram Badhan, Shri Tora Ram, Capt. Bhagu Ram, Shri Manak Chand Amritsar, Shri Om Parkash, Shri Faqir Chand and many others. All the speakers urged the dalits to unite themselves to withstand the tyranny inflicted upon them by the high castes. They stressed the gathering to follow the path of struggle as shown by satguru Ravidass ji, Satguru Namdev ji, Maharishi Balmik ji and most importantly Dr. B.R. Ambedkar. Shri Mangu Ram Mugowalia, Shri Hazara Ram, Shri Nanak Chand and others expressed their gratitude to Sant Sarwan Dass ji for organizing such a big gathering for welfare of dalits and it would be remembered forever in history. Sant Sarwan Dass ji felt that there did not exist any temple in the name of Satguru Ravidass ji and therefore, he got the place traced at Seergoverdhanpur in Varanasi (U.P.) and construced a beautiful seven storey historical temple in the memory of Guru Ravidass ji which had now become a place of pilgrimage for the poor and downtrodden. The whole life Sant Sarwan Dass ji dedicated to Satguru Ravidass mission. When the construction of temple at Seergoverdhanpur was in progress, some one from sangat asked Sant Sarwan Dass ji that the temple was being built in U.P. at a very far off place from Punjab, who and how the sangat would go to pay their regards to their great prophet? At this Sant Sarwan Dass ji quipped that the special train of sangat will go from Punjab to celebrate the anniversary functions at Seergoverdhanpur. Now the sangat from every nook and corner of world comes to Seergoverdhanpur in a special Begumpura Train year to have glimpse of the beautifully erected seven storey temple. Besides this, many temples and Shri Guru Ravidass technical college Phagwara, Primary school Raipur-Rasoolpur, Bhagwan Ravidass ashram Haridwar and the rooms of high school at Ballan had been built in the service of humanity by Sant Sarwan Dass ji. Sant Sarwan Dass ji was a great vaid ayurvedic medicine. He used to distribute free medicines to the patients at Dera. Everyone had seen the spiritual miracles of Sant Sarwan Dass Ji. He had blessed many barren mothers with progeny by the grace of God. Even by simple word utrered by him cured the decieses whom even doctors were unable to treat. Initiating NAM to sangat he thoroughly explained to them the meaning of five words and its respective stages. Some time some devotees requested him that nothing was visible to them when they worship NAM then by showing grace, he had manifested them the ´eternal light’ to them. In the 1962 War with China many soldiers got blessings from Sant Sarwan Dass ji before going to battlefield and he told them that there would be no scratch on their bodies during war time. And this fact had proved true when one Shri Kabal Singh of Phagwara was first informed as died at the hands of enemies and this news was told to Sant Sarwan Dass ji his family at Dera and Sant ji while mingling with Almighty in Smadhi told the family that Kabal Singh was alive and was in jail in China and he would be soon released and back with the family. When Kabal Singh was released, he direct by came to Dera and narrated the whole story to the sangat and Sant Sarwan Dass ji. 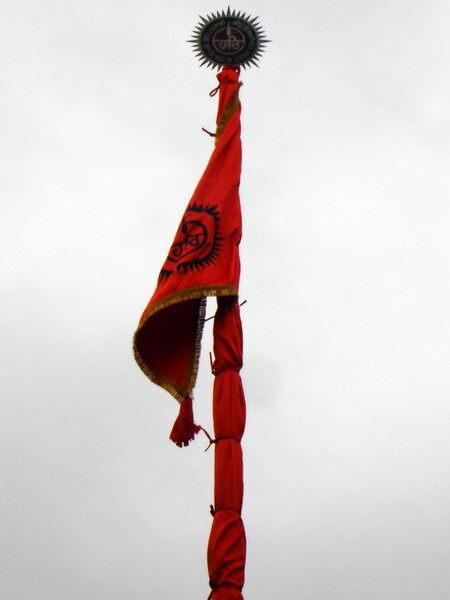 He told that when there was a fierce battle going on and the enemy was nearer to our posts and we were empty and without ammunition, then Sant Sarwan Dass ji all of a sudden, appeared there and directed us to vacate our bunkers immediately, We obeyed Guru ji’s order and left the posts and surrendered to the enemy, who made us prisoners destroying our bunkers. Hearing this, all the present sangat was surprised to learn how the accomplished Guru saved their Sewaks from every evil & trouble. When dark clouds of war were hovering then Satguru ji advised to all worship Almighty and prophesied that the wars would soon start. The war started in a few days. And during this period Sant Sarwan Dass ji used to worship NAM day and night. When war broke out with Pakistan in 1971 Sant Sarwan Dass ji went ot Amritsar border and distributed sweets and fruits among the soldiers. Such was a generous Saint Sant Sarwan Dass ji. We should always be grateful to Dera Sachkhand Ballan where such a great saint lived for the community, who had sacrificed his every comfort for the welfare of poor and downtrodden. These great visionary saints left for hevenly abide on June 11, 1972. He left a rich legacy for his successor’s saints.